After brewing for more than a decade in a 150-square-foot space, the brewery is opening its new 2,300-square-foot location this Saturday at 1535 Decatur Street, the owners said. Rich Castagna, who runs the brewery with his wife Lisa, built the entire facility himself, modeling it after the system he used at his garage, where the brewing gear consisted of three stainless steel kettles clad in oak, which could produce 48 gallon batches. “It was nothing but successful,” he said about his original self-built system. “So I built another one that is very similar to my small system but it's six times bigger,” Castagna said. The new brewery will also include a taproom, which will initially be open only on Saturdays. 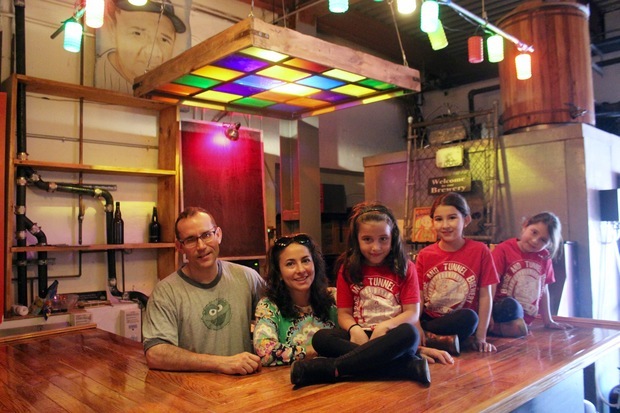 In the future, the brewery may stay open the entire weekend, the owners said. It took Castagna two years to find the new location and then another year to transform what used to be a metal shop into a brewery. He used a lot of recycled materials to build the facility, he said. He bought oak for the kettles and bar counter from Craigslist, where someone was selling it as firewood. He also used massive beams from a home that was being gutted in Gowanus to build large communal tables. And he got an old window with 25 panes upstate New York, which his wife painted different colors to decorate the bar. Their three daughters, Mia, 9, and twins Samara and Hailey, 7, also helped with cleaning the space and painting the walls, Castagna said. "It's a truly family business," he said. “This is our fourth baby,” his wife joked. "Our brewery baby." Castagna, who produces about 25 different brews, said his passion for brewing has been growing over the years. “Brewing in the garage was difficult,” said Castagna, who brewed there even in the wintertime, with temperatures sometimes falling to 11 degrees Fahrenheit, he said. Last year, he got pneumonia, he said. “But what else would I be doing?” he said. “It’s hard work but it fits." The brewery currently distributes its beer to more than a dozen bars, mostly in Queens and Brooklyn, including the Queens Kickshaw in Astoria and Brouwerij Lane in Greenpoint, but also to places like Jimmy’s No. 43 in the East Village. It plans to serve a good selection of suds at its Ridgewood location. This Saturday, Castagna said, beer lovers will get a chance to try at least five to six varieties, including Stickball and Johnny Pumps Session IPA, Twenty-Spot and a SwitchBlade Coffee Cream Ale, Bone Orchard Vanilla Porter and Angry Amal Dunkelweizen, a dark German style wheat beer. Patrons will pay $5 for a pint, $3 for a half-pint, and $2 for a sample glass (4 sample glasses containing various kinds will cost $7). The Ridgewood area, which in the early 1900s was known for its breweries, is now attracting brewers again. Queens Brewery, which started production upstate in 2013, is currently working on opening a new space at 1539 Covert St., two blocks away from the Bridge and Tunnel’s new location. Finback Brewery, which also features a tasting room, is located in nearby Glendale. 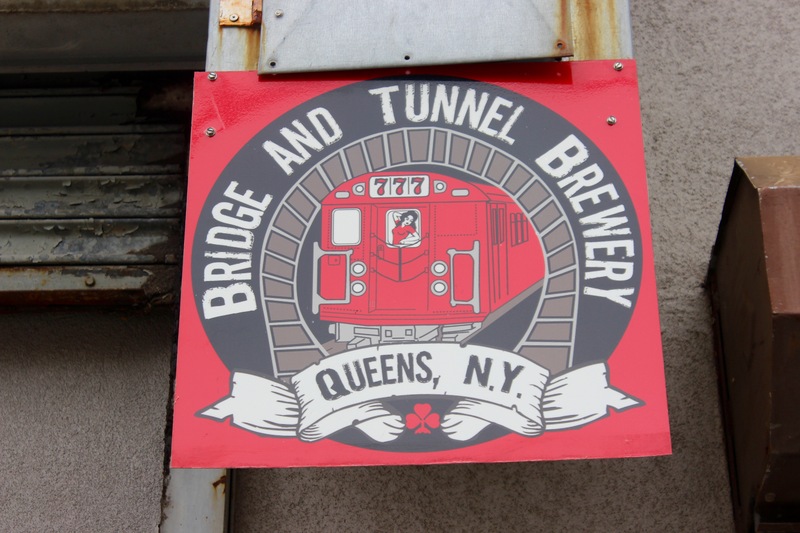 Bridge and Tunnel Brewery, at 1535 Decatur St. in Ridgewood, will open for the first time this Saturday from noon to 8 p.m.